Reuben Cairns-Morrison and business partner Gene Hogan are riding high on the success of their surf app Sherpa Surfguide, which is an iPhone application that tells users where the best surf is anywhere in New Zealand. The app is basically a digital surf guide plus a surf forecasting service which are two services that have yet to be combined. Cairns-Morrison says it is a huge advantage to surfers who are on the road, as they can get information updated hourly about the conditions and the surf breaks on their phones. He also says this summer the pair plan to improve the content of the app by travelling the country and taking detailed notes and photos, as well as promoting the app in surf stores. When they are totally happy with the New Zealand version, they will take the idea elsewhere. James McGlinn, co-founder and chief executive of Eventfinda and an Entrepreneurs’ Organisation NZ member, has found much success with his online business. Eventfinda is an online event marketing and ticketing company that around 800,000 New Zealanders use each month to find out what’s on. The fastest growing area of business for Eventfinda is ticketing. Currently, at any given time, it is ticketing more than 400 different events, more than any other New Zealand ticketing company. Eventfinda allows event promoters, organisers and venues to list their events for free, have that information distributed through a range of content partners, and control their own ticket sales. The Eventfinda platform has been successfully licensed in Europe and Australia and the company recently launched in the United States and Singapore. McGlinn started the company when he was 26, saying that prior to Eventfinda’s launch, events in New Zealand had no central listing website, making it more difficult for people to find an event. The entrepreneur may have been young when he started Eventfinda, but he was already a veteran businessman, having started his own web hosting company, Entertainz, when he was 17. 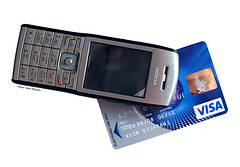 It seems Kiwis are embracing mobile banking, if ASB’s claims are anything to go by. The company says its relatively new Mobile Business app has seen a “remarkable uptake” in its first few weeks. “Since the ASB Mobile Business app was launched in September, we’ve seen a rapid uptake with users authorising tens of millions of payments on-the-go every week,” says Steve Jurkovich, Executive GM of Corporate, Commercial and Rural, ASB. New Zealand-based Garden Genie has won first prize at the 4th annual Global Startup Battle in the ecommerce category. This is the first year there has been an ecommerce category, making Garden Genie its inaugural winner. The company also won the Auckland Startup Weekend in November. Garden Genie beat out stiff competition to win the international competition in a field of over 1,000 other teams from over 40 countries with its combination of mobile app and e-commerce platform that walks gardeners through every step of growing organic produce. The company’s prize includes a month-long e-commerce acceleration experience hosted by Bigcommerce in Austin, Texas in March. They also attend one of the most important international digital and startup gatherings, SXSW Interactive to talk and network with leading minds of the industry. Pat MacFie, co-founder of OnSport and a partner at Socialize Group, recently snagged two investors for his startup social media platform at the NZ Angel Investment Showcase at the Icehouse. MacFie sat down with the New Zealand Herald last month to talk about his vision for OnSport, saying the company’s goal was to build a sports media business of global significance. “Our goal is provide our customers with a way to make money from every tweet or post and every member of their community,” he told the newspaper. MacFie said investors liked the scalability of the business model and the fact that they’re solving a really big problem that’s particularly relevant to the current era of the social web. The OnSport co-founder said the company plans to spend the new investment money on business development, signing up athletes, teams and ad partners. The OnSport site launches in February. Since Rod Drury and Xero showed it is possible to take on the world with a locally developed product, New Zealand has been going through a bit of a tech boom and it’s only going to get bigger. Last month, Amazon Web Services (AWS) was in town promoting itself as the first port of call for startups wanting hosting and other cloud services. AWS recently boosted its new company offer with the launch of AWS Activate, a bundle of services for startups providing training, user support, a community forum and credits for services. At least some of those services are free for qualifying startups. AWSÂ country manager Ed Lenta said he has the wave of new technology companies coming out of New Zealand in his sights. Lenta says AWS offers startups cloud computing services so they don’t have to waste money on technology infrastructure and so they can be on equal footing with more established competitors. Beyond that, Lenta says, AWS can also give New Zealand startups a global footprint. New Zealand-based internet auction site Trade Me has purchased New Zealand-based motor vehicle information company MotorWebÂ for NZ$19.5m. The deal is conditional but expected to be completed later this month. Founded in 1997,Â MotorWeb is an online business that operates in both New Zealand and Australia that packages and sells vehicle information and reports to finance companies, insurers, car dealers and the public. It offers a suite of more than a dozen products and services. “The MotorWeb business has a lot of potential to complement our existing Trade Me Motors business, and will give us the chance to broaden and deepen the products and data we provide in relation to motor vehicles,” Trade Me CEO Jon Macdonald said. MotorWeb staff would move across to join the Trade Me Motors team early next year. The World Bank continues to rate New Zealand the third-best country in the world to run a small or medium-size business, after Singapore and Hong Kong. The bank’s Doing Business 2014 report on 189 economies also continues to rate New Zealand as the best country to start a business and protect investors. But since the 2013 survey, New Zealand has slipped a ranking to 12th for dealing with construction permits and two rankings to 23 in terms of paying taxes and to 21 for trading across borders. The report says governments around the world stepped up their pace of improving business regulations in 114 economies last year – an 18 per cent jump from the previous year. The report says that if economies around the world were to follow best practices in regulatory processes for starting a business, entrepreneurs would spend 45 million fewer days each year satisfying bureaucratic requirements. “A better business climate that enables entrepreneurs to build their businesses and reinvest in their communities is key to local and global economic growth,” said World Bank Group president Jim Yong Kim. The New Zealand government aims to assist Kiwi tech companies grow and compete in the global market by investing more than NZ$3 million over the next three years to take advantage of the opportunity created by the global boom in demand for digital technologies, Economic Development Minister Steven Joyce said recently. “The digital economy contributed over NZ$2 billionÂ in export earnings last year, and exports of computer and information services have grown at over 10 percent per annum between 2002 and 2012. Almost 75 percent of revenue from the New Zealand’s top 100 tech companies comes from international markets,” Joyce said in a statement. The Digital Technology High Impact Program would target support to firms working in the areas of software as a service (SAAS), web services, software development, gaming development, post production, animation and mobile technology. Joyce also announced new repayable government grants of up to NZ$450,000Â per company would be invested in start-up technology companies. Out of the 40 New Zealand businesses featured in the annual Deloitte technology Fast 500 Asia Pacific index, Queenstown-based online discount booking company Bookme was ranked highest at 18th. The index, announced in Hong Kong Dec. 5, ranks the top 500 tech businesses according to their revenue growth over the past three years. Bookme, a booking engine for tourism activities and attractions, had a growth of 1359.4%. The company, which was founded in 2010 by James Alder and Nick Reekie, was previously named rising star regional winner for Otago-lower South Island in the Deloitte Fast 50. Sixteen of the 40 Kiwi businesses on the list were in the top 100, which was up from seven last year. Only China had more companies in the top 100 with 29. Deloitte Private partner Stephen Nicholas said it was clearÂ that New Zealand businesses, which made up more than 15% of all companies in the top 100, had moved into the ”upper echelon” of fast-growing technology firms in the highly competitive Asia-Pacific region. ”These results clearly show that despite the relatively small New Zealand market, hard-working innovative Kiwi firms have been able to outperform companies from many larger countries,” Nicholas said.